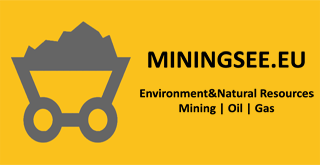 Reservoir Mineral company, linked with Canadian Reservoir Corp REV listed on Toronto and Frankfurt stock markets, is a junior mining company operating in SEE region. REV is present in Serbia thru its disputable by NGOs energy project of HPPs Brodarevo for which the NGOs claim that all its environment impact studies are dropped by courts. REV on the other hand promotes its agreement with A2A. Reservoir Minerals may be the winning card of REV as its joint venture project Cukaru Peka with US Freeport McMoRan seems to be highly perspective. In addition to the Company’s participation in the Cukaru Peki copper-gold discovery through the Rakita joint venture with Freeport-McMoran Exploration Corporation, the Reservoir Minerals company operates exploration projects in prospective copper-gold and lead-zinc-silver-gold metallogenic terrains of southeast Europe, locations of Serbia, Macedonia and Romania. According to the statement from the company initial drilling results from the Serbian Timok 100% owned exploration permits successfully demonstrate the potential for further discovery of significant copper-gold mineralization, as well as the efficacy of our exploration methodologies. The field and drilling programs are ongoing, and we look forward to focussing on new mineralized systems recognized in both the eastern and western sectors of the Timok Magmatic Complex. Elsewhere in Serbia, the Company is encouraged by the progress on its sediment-hosted copper project, where the exploration concept is now proven and initial results are very promising. Reservoir has a portfolio of lead-zinc-silver properties in central and western Serbia, where further work will be directed towards acquiring the necessary information required for initial resource estimates. Porphyry copper-gold style mineralization has been identified by drilling on the Company’s projects in the Banat region SW Romania where the target geology is an extension from the Timok Magmatic Complex in Serbia. Drilling results confirm the presence of copper-gold mineralization associated with quartz vein stockworks and potassic-altered granodiorite intrusions and hornfelsed schists. Follow-up field work has commenced on new targets in both the Gura Salistei and Purcaru prospects.